Last year Crystal Clear introduced a brand new facial that is blowing us away. It’s the new H2O Glow – the company’s most intense hydration treatment yet and one which our clients are already booking again and again. It’s also a favourite with celebrities, particularly before a big red carpet event as the glow seems to continue to grow! Christine decided to give it a go – here’s her review. “I tried the H20 Glow facial last year when it was first introduced to the salon. 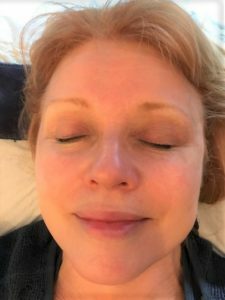 Like many women I lead a busy life, with little time for pampering, and when I have a facial I want to feel and see instant results. Well, this is the one for me. Amy at Revive settled me down on the treatment bed – the room was lovely and calm, but this is not generally a relaxing treatment, unlike many of Revive’s others. Clients often enjoy facials for a soothing, relaxed and pampering hour or so away from the chaos of life as well as benefitting their skin. Music plays and scented candles burn and it’s – well it’s absolutely lovely. But, like the other very popular treatment, the Crystal Clear COMCIT, the H2O Glow is slightly more vigorous. No sound other than the hum of the COMCIT machine and the blast of cold air (more later). It is a much more workmanlike and down to business facial – but boy, do you know you’ve had it. First of all Amy thoroughly cleansed my face, getting rid of the remains of make-up that my own beauty cleansing routine had missed after a rather late night (ahem). 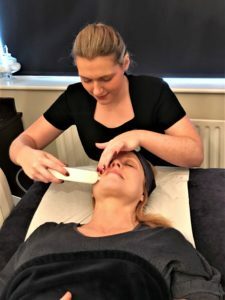 Then she went over the whole of the right side of my face, piping freezing cold oxygen out of a tube to invigorate and wake up my skin cells, while at the same time applying the ground breaking Hyaluronic Acid serum to my skin. It’s a weird feeling, but not painful or uncomfortable at all, and those blasts of icy air soon had me, still suffering the side effects of the previous evening’s charity ball, wide awake and ready for the day! After repeating the process on the other side of my face, Amy began to work my skin with the unique COMCIT roller, pushing the serum deep into my epidermis. This, she explained was to stimulate collagen and elastin production, which we all know is the holy grail of youthful skin, and something we lose as we get older, causing our faces to lose elasticity and firmness. Again, although you feel the tingle of those tiny needles, it is painless – my only problem is a tendency to sneeze when the roller goes over my forehead! It must trigger something sensitive in my nose! I’m not sure if I’m the only client affected like this, but it certainly amuses the therapists at the salon. (lol). This process takes about 50 minutes, but after all that blasting and rolling, we all deserve a bit of relaxation and the final part of the process is the application of the Crystal Clear rejeuvenating face mini lift mask – a thick white paste-like substance made of wheat proteins – deeply hydrate, soften, rebalance and calm the skin, algae gel active – creates a lifting effect, also marine powder with superb drawing properties to deep cleanse the pores (eye coverage is optional – some people prefer to keep their eyes clear). 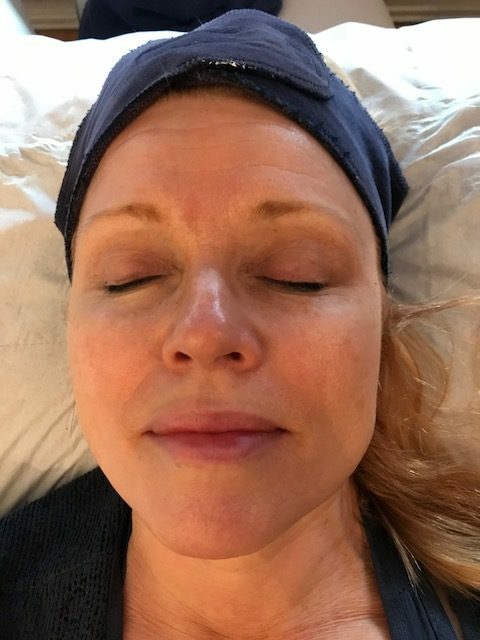 I went for the whole face and was already feeling it start to thicken and tighten as Amy popped a couple of cold, compresses over my tired eyes – ahhhhh lovely. The mask is left on for ten minutes or so, during which time there is the option of a lovely hand massage with scented creams, or a head rub with oils. Or, if you prefer, you can be just left alone to snooze! The funniest part of the whole process is the removal of the mask, which looks rather ghoulish and wouldn’t look out of place at a Halloween Party – I was tempted to keep mine. 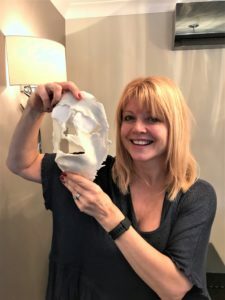 Removal of the Crystal Clear Face Mask – that’s my Halloween Outfit sorted! Apparently make-up is best avoided for as long as possible that day. If you have to wear it for whatever reason (as I did for work!) stick to mineral based foundations which sit on the surface of the skin. Don’t forget your skin has been penetrated by the tiny needles so that the collagen can keep on regenerating, so anything that could get into those micro holes isn’t advisable for 12 hours or so. 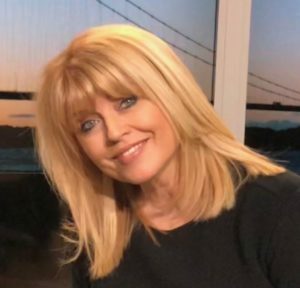 I had to go to work and was certainly not going to go on air (my main job is as a TV presenter) bare-faced, so I dug out my trust Bare Minerals Foundations and powders and all was fine. And the Verdict? Well all that day, and the days afterwards, people were complimenting me on my skin. It simply glowed – and as the celebrities who reviewed it have all said – it continues to get better over the next few days. That young, plumped up look you get an hour or two after vigorous exercise? Well that’s what it is like.. but all the time. It makes fine lines seem to disappear and my skin took on a flawless look. In my view the results are best two days after treatment – so it would be a perfect facial to have a couple of days before a special occasion like a wedding or a big day/night out. 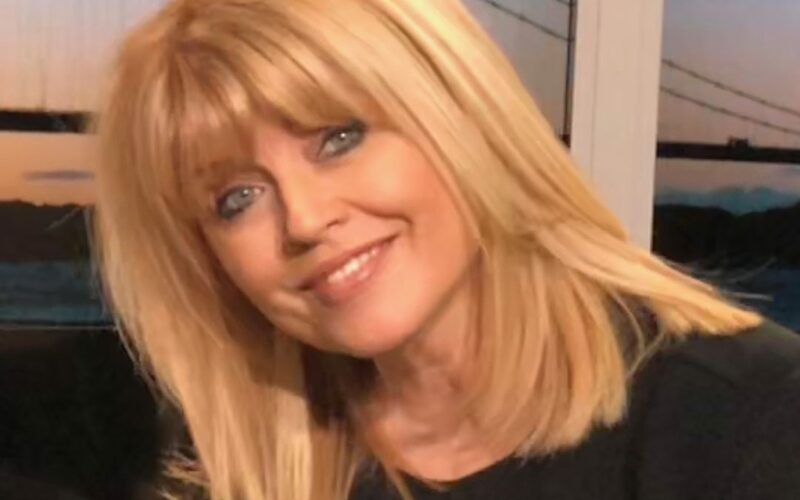 This is me in the studio a couple of days after treatment – make-up on – but my skin felt pretty glowy (is that a word?) and my make-up went on so much more easily! Two days later – all dressed up and ready to glow! 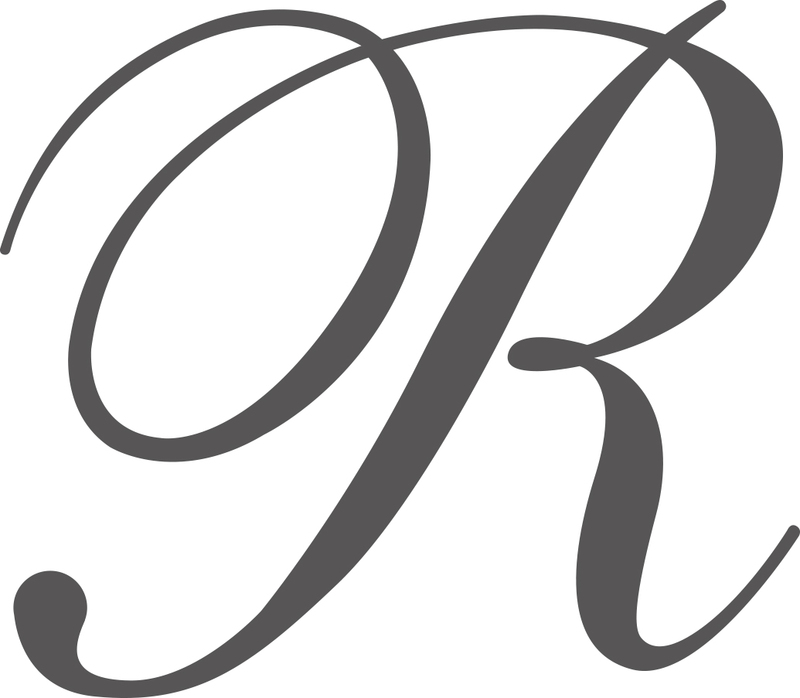 Follow us on our Facebook and Twitter pages for details of all our treatments and offers. .